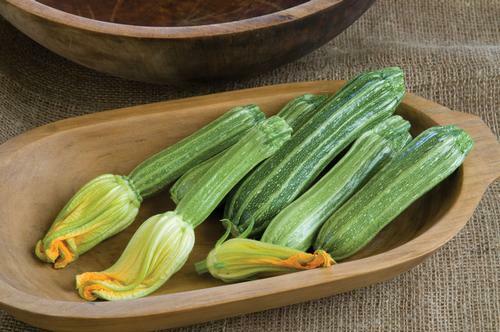 Deeply ribbed and striped in pale and deep green, one look will tell you this is no ordinary zuke. One bite will affirm that as you notice the sweet, nutty flavor. Texture is best at the 6-10" range, so keep them picked. Not as productive as regular black zucchini, which shouldn't be a problem.